Jean Claude Lapalu comes from a family of vignerons who used to sell their grapes to the cooperative. He began his domaine in 1996 and he made his first commercial wines in 2000. 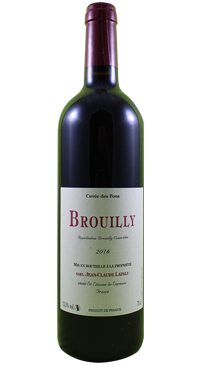 He has 12 hectares of 60 to 80 year old vines in Saint-Etienne-la-Varenne, Brouilly. He uses organic and biodynamic viticulture practices and his winemaking is very natural, in that no sulfur dioxide is used until the bottling stage.